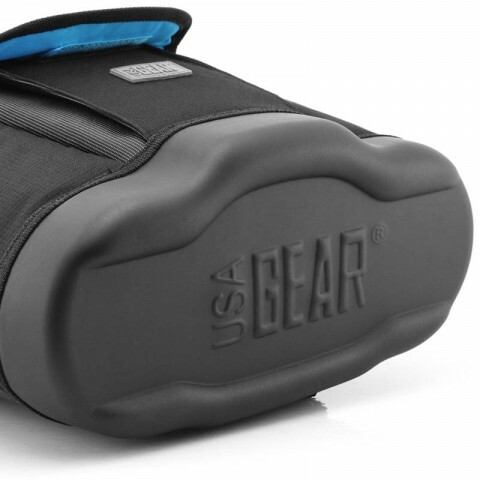 High-density Nylon encases a thick foam padding for a durable exterior, the hard-shell waterproof EVA bottom prevents liquids from soaking through and the scratch-resistant inner lining protects your camera's finish, lens and EVF Bag supports 30 lbs of equipment. 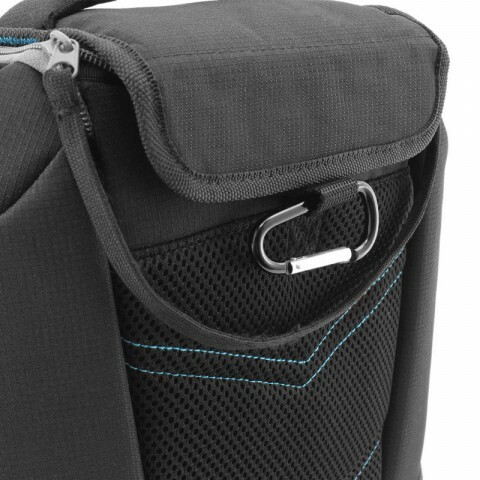 The two lens compartments zip downward while the main compartment zippers are optimized for one-handed operation. 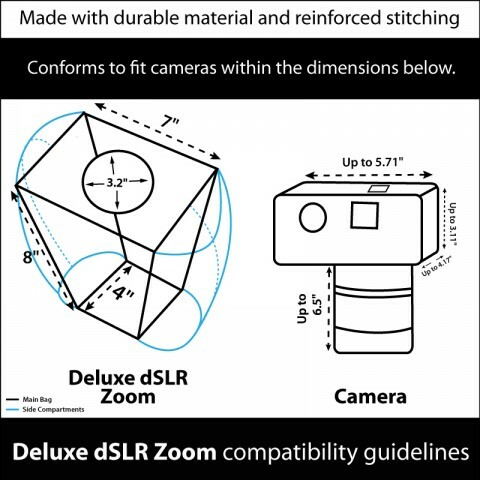 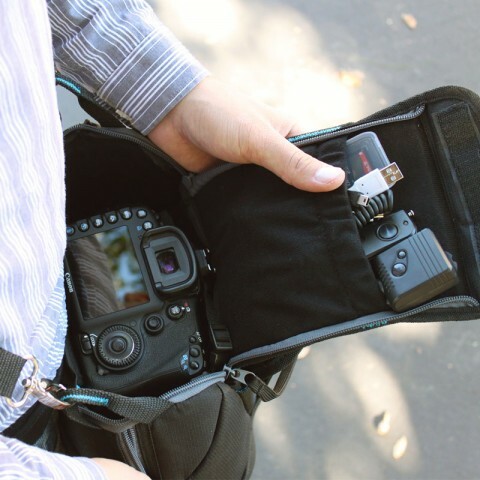 The internal camera suspension system holds your dSLR and lens like a hammock, and a detachable shoulder strap and carry handle let you decide how to transport your gear. 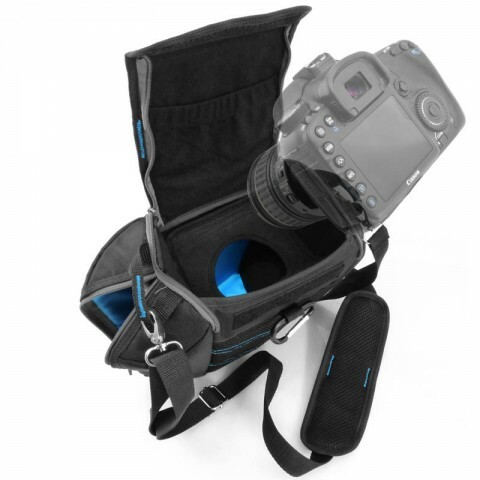 The main compartment holds one camera body and attached lens. 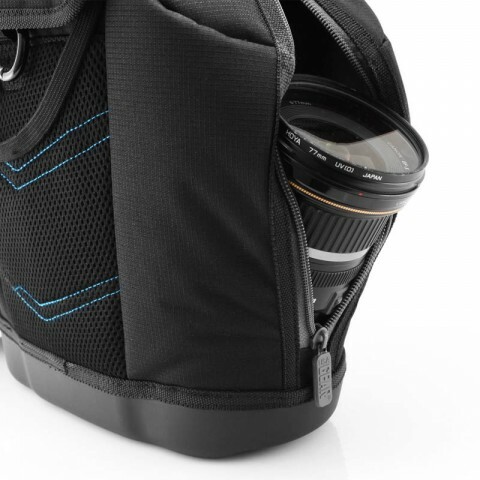 A pocket on the lid of the case can fit lens filters, memory cards, or whatever else your next shoot needs. 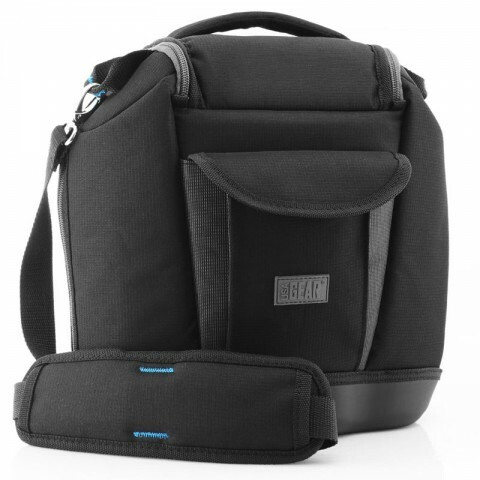 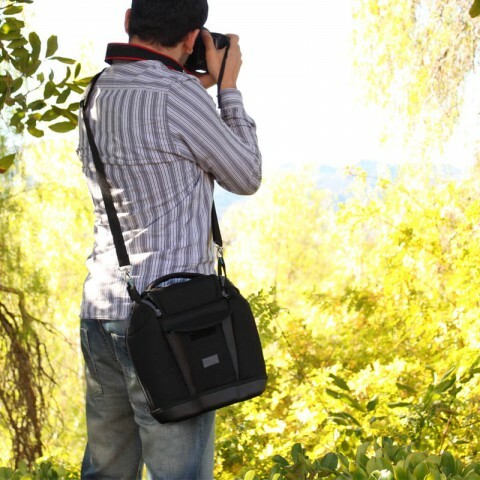 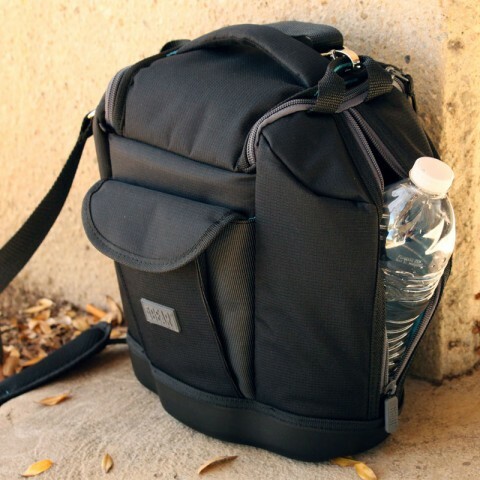 The bag includes two inner side pockets and one quick-access front pocket to hold extras, while the two side compartments can fit lenses sized 3.2" in diameter and 8.1" in length.